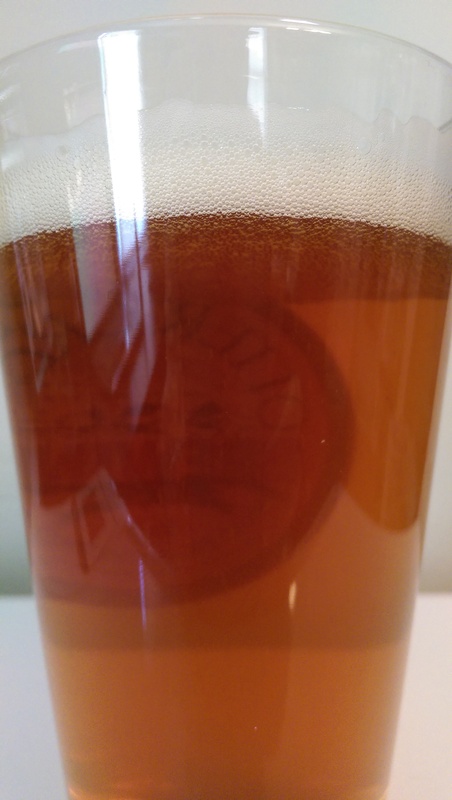 Beer Profile: Sierra Nevada Torpedo Extra IPA – Food. Beer. Stuff. Brewed with the use of Sierra Nevada’s own Hop Torpedo. IPA style beers have seen a huge rise in popularity recently, so much so that in some circles they are being snubbed for their favored status. Like all trends I see this as something that will soon pass but what will not is the great refreshing taste. 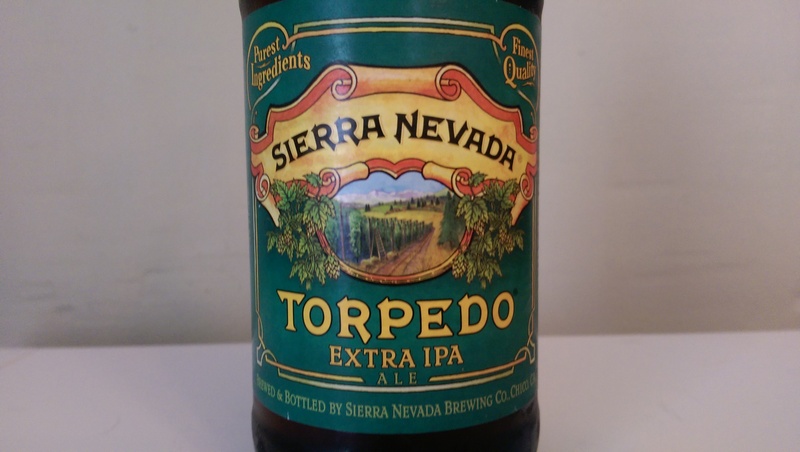 For the sixth edition of Beer Profiles, I check out an Extra IPA offering from the prominent brewery of Sierra Nevada Brewing Company, Torpedo Extra IPA. Man that looks good. Lets drink it already. Sierra Nevada Torpedo comes in an inviting brown bottle with a label featuring retro style fonts that hark back to a simpler time. Trying to give it a good sniff, I spilled a little bit on my shirt but was able to notice some fresh citrus with some slight herbal and pine aromas. Before getting too far into this review, it would be inconceivable not to mention the process for which this beer is named. 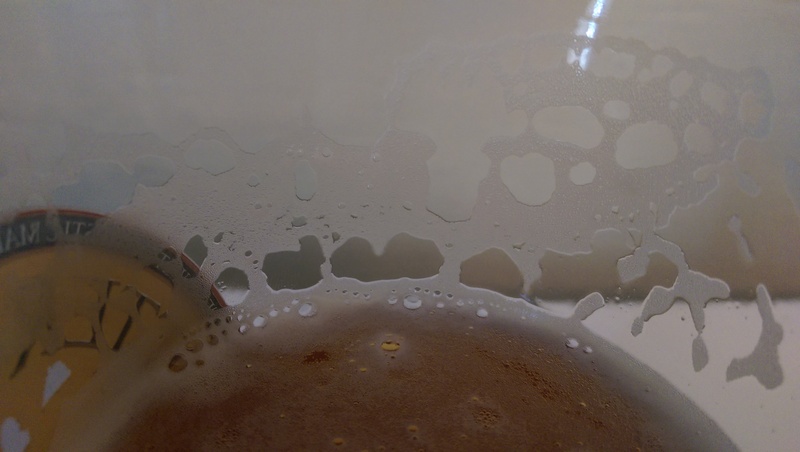 I may just cry over this spilled beer. The Torpedo is a stainless steel device packed with whole-cone hops and sealed against pressure. Fermenting beer is circulated out of a fermenter, through the column of hops, and back into the fermentation tank. This circulation method is easily manipulated through time, temperature and speed. We can control what types of flavors and aromas we extract from the hops and how those aromas will appear in the finished beer. Torpedo pours a rich golden amber that urges one to take a sip. Lets do that. Obviously, this is a very hoppy beer. With that said, the taste appears nicely balanced with minimal bitterness and a nice pine like impression. The carbonation and body are right in the middle giving this a great mouth feel. The presence of alcohol is not noticed making this a very drinkable beer though it clocks in at over 7% ABV. This is a nice strong IPA. Strong as in a great offering on the market. Smooth and refreshing for an aggressively hopped beer, I begin to notice more subtle flavors of citrus with just enough hop bite accompanying the finish to know what I’m drinking. Some might find the beer to be a bit sweet but I find it to be pleasant and quite drinkable. As is so often the case it seems lately… wait for it… I like this beer. Though ambitiously dry hopped, the hops don’t over power the senses and I find I like it more and more with each sip. I like a hoppy beer, even an overly hoppy beer but Sierra Nevada’s torpedo makes a very fine case for balancing out the flavors and not getting too carried away with the whole process. I would suggest this to anybody who likes a nice IPA on a hot summer night. Have you tried Sierra Nevada Torpedo Extra IPA? What are your thoughts? Did you spill any on your shirt? Lets talk about it in the comments below.